In Recently Published Wikileaks Documents it was claimed that Saudi Arabia King Shah Abdullah and some other Arab Rulers asked America to Attack Iran and destroy its Nuclear Program. 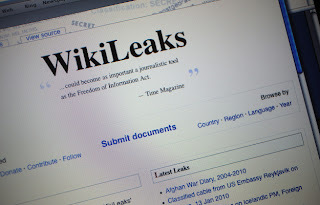 Iranian President Ahmadinejad rejected these Claims of Wikileaks and said that American Government is behind Wikileaks and America wants to destroy Iran Arab relations due to which it is doing such Conspiracies. On Saturday Iranian Government has said in a statement that We have trust in Arab Governments but we don,t trust the information published by Western Media or Governments so we would like Arab Governments to response on Wikileaks Claims. Some Arab Countries officials are silent on Claims of Wikileaks while some others have rejected these Claims.